Launched by Copper Mountain in 1979, the Over the Hill Gang has grown with 52 ski meets and options of one-day, four-week and season's memberships. Ability-graded clinics have nifty names like 'Decline', 'Groomed Zoomers' and 'True Turquoise' (greens and blues). 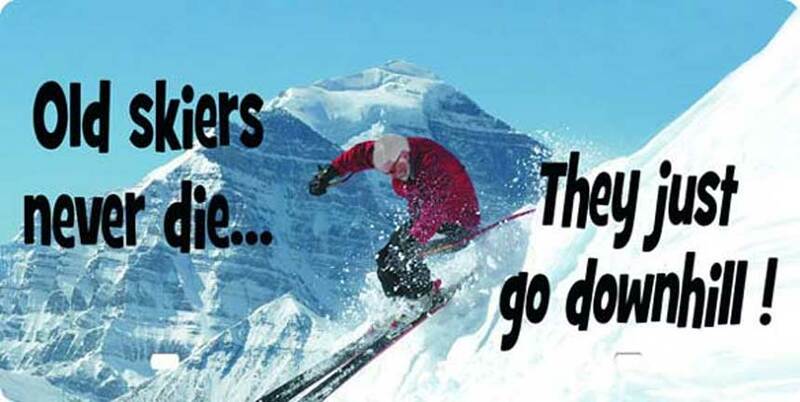 OTHG provides a skiing network, customized instruction, and motivation for mature mogul munchers not just to keep skiing but to increase their participation. Something to aspire to: the $400 membership fee is reduced to $200 at the age of 80. Boomers – aged 54-72 last season – accounted for nearly 15 percent of US skiers according to a National Ski Areas Association survey. The 73-90 age-group made up another 1.2 percent. Surprisingly, days on snow per season goes up with age: 73-pluses expected to ski around nine days, boomers around seven, whereas younger age-groups typically clocked up five -six during 2017/18. Generally, skier longevity is being promoted by improvements in hip and knee replacements, shaped skis (see POWS, Pensioners on Wide Skis), enhanced snowmaking and grooming, ski in/ski out accommodation, high-speed lifts, ski valets, and other luxuries. Call it peer pressure, mountain mania or carpe diem - older skiers who belong to clubs definitely ski much more than these averages. For example, octogenarian Sigi White from Sun Peaks skied 41 days last season. The ski club she helps run - Sun Peaks Antiques (below) - says it all: age, quality, experience and something to be cherished. Skiing three times per week throughout the winter – more if there's fresh pow - the Antiques are all retirees, some dabbling in part-time work and volunteerism. At 80 she's an ardent skier, calendar and note card designer, hobby photographer cataloging Antique activities, and a volunteer at the local soup kitchen. At Sun Peaks ranks are reinforced each winter by overseas members, arriving to fervent fanfares from Britain, Australia and New Zealand. Olympian and former Senator, Nancy Greene Raine, is Director of Skiing at Sun Peaks and, with her hubby Mayor Al Raine, the resort's reigning royalty. 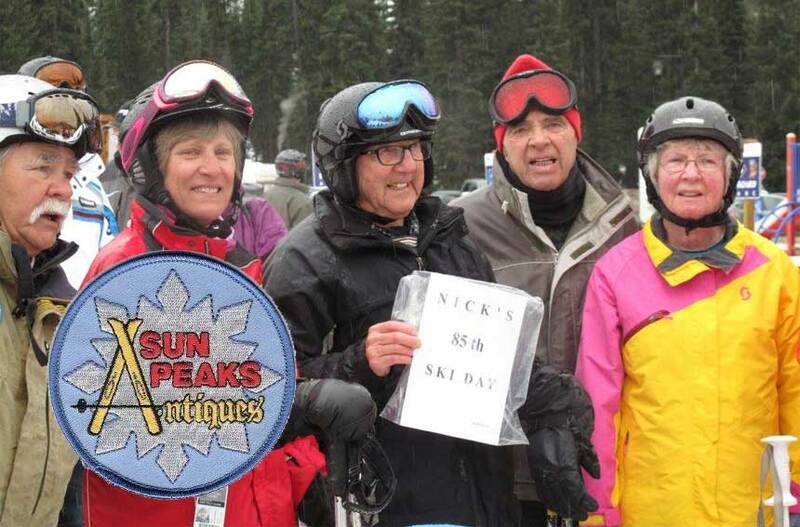 Both over 70, they're inspirational ambassadors for Sun Peaks and the benefits of mature skiing. Elsewhere, other oldies have joined forces in OTHGs – for example, at Steamboat Springs, Pikes Peak, and Mt Bachelor. In Aspen Snowmass, Over the Hillers meet on Tuesdays. New England's Top of the Hill Gang offers 400 members domestic and international skiing, plus hosteling, hiking and kayaking. In age-denying LA, OTHG was renamed On the Hill Gang. New York's 70 Plus Ski Club is 3000-strong. Around North America, the word 'Masters' is used, although typically for ski racing – for example, the BC Alpine programme at resorts such as Whistler Blackcomb and Panorama. The Steamboat Springs Over the Hill Gang (above) is a 'social organization for active adults over 50.' says President, Cindy Kinnear, who at 59 is one of the youngest members. As well as skiing, snowshoeing and back-country jaunts, SSOTHG hosts happy hours and dinners during winter and a range of outdoorsy activities in summer. SSOTHG is over a quarter of a century old, the majority of its 300 members over 70. Seventy-five year-old Jack Ferguson is the ripping ringleader for the core group, meeting those who wish to ski at the base of the gondola at 9:30 am daily. 'This group can be relatively large - too large to try to keep track of everyone - so sometimes the group splits up into smaller groups,' says Cindy. Grouping depends on speed, ability and terrain-preferences. 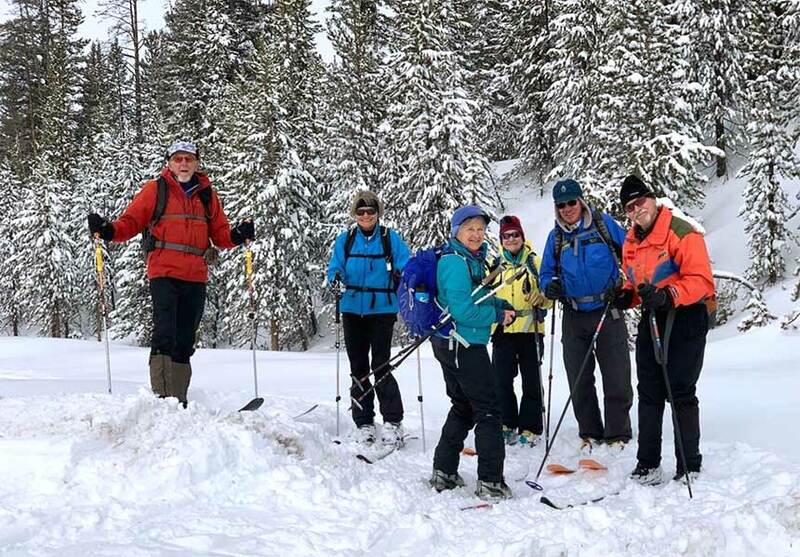 'Sometimes my husband and I do activities together, but the great part of being a member of the Gang is that my husband can go ski with some of the faster or more advanced skiers, and I can join another group that's at my level,' Cindy explains. 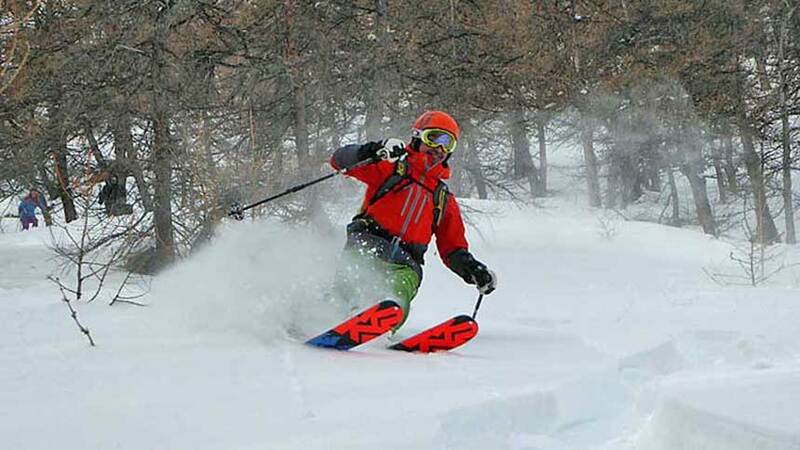 New this season is 'Blues Day Tuesday', focusing on easier terrain skied at less than Mach 2. Benefits, according to members, are skiing chums, meeting new likeminded people and age-appropriate company, to safety in numbers. With an annual $30 subs, it's all promoted by word of mouth with monthly newsletters, a Facebook page and website with calendar of events. For 60-plus radical rippers, Vail provides a free Monday programme through the National Ski Patrol Mountain Host program. Capped at 30 advanced intermediates and experts, it's led by experienced Hosts with extensive knowledge of Vail's trails and ever-changing conditions. Silver Star sees masses of retirees coming up daily from nearby Vernon. SnowSports Technical Director, Norman Kreutz says the hill is bustling until 11:30 each day, emptying out when the older brigade goes home for afternoon naps. Due to demand Big White has expanded its Masters' Week to three weeks over the season, pairing lessons with exclusive après and activities. Two-hour tuition is topped on Masters' Mondays by a gourmet steakhouse lunch. Club 65 is a reduced-price season pass with other discounts. Aspen Snowmass is another Mecca for the mature market. As well as the Over the Hillers, it has a unique Bumps for Boomers 'Ski for Life' programme run and taught by boomers, and also a Locals' Clinic that draws many of the affluent area's senior skiers/riders. One of the top tactics for resorts hoping to attract older skiers is to discount lift tickets and season passes. Aspen Snowmass has a 'Silver Premier Pass' for 70-plus, priced at $514. VP of Product Sales & Services, Jodi Reardon, says sales of this pass are up 27.5 percent. 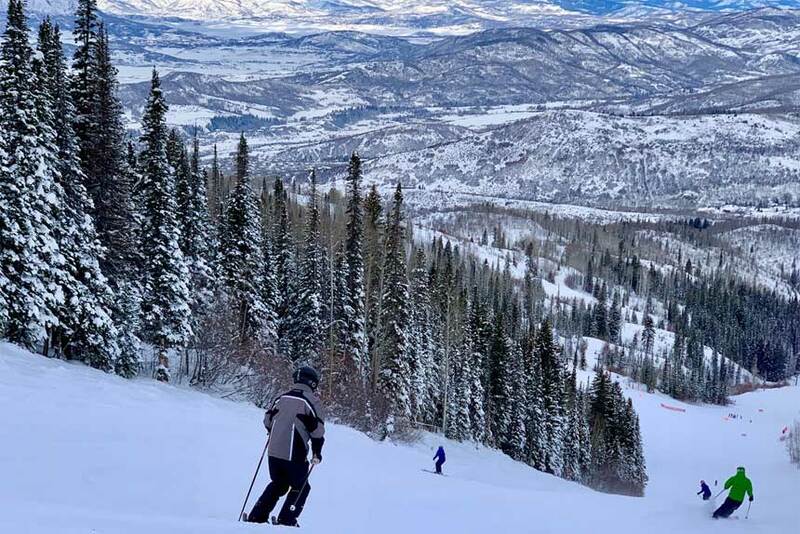 Some North American resorts reduce lift pass prices dramatically for seniors – for example, Snowbasin's $99 season pass for 75-plus and Alta's $50 pass for octogenarians. Yippee – something to look forward to in our downhill dotage.